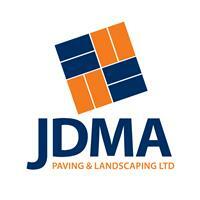 JDMA Paving & Landscaping Ltd - Driveways/Patios/Paths, Landscaper based in Ditchingham, Norfolk. Elegant and outstanding driveways and paving. JDMA Paving and Landscaping has the craftsmanship to turn an outdoor space into a haven of beauty and relaxation. Whatever your garden designs, and ideas, we have the skill and knowledge to make them into a reality. By working closely with our landscapers it's possible for you to create a unique space where nature and features combine to create the ideal look to complement your property. At JDMA we have worked with many customers across the East Anglian region, producing top quality gardens. Our work includes the following; Driveways, Walls, Landscaping, Patios and Paths, Fencing, Groundwork, Asphalt, Tar and Chip and Commercial.